Brendan Rodgers chalked up his 100th win as Celtic boss with a 5-0 Scottish Premiership demolition of Dundee at Dens Park. Australia midfielder Tom Rogic celebrated his 150th appearance for the Hoops with a wonderful opener, before further goals from Scott Sinclair - from the spot - winger James Forrest and striker Odsonne Edouard had the points secured by the interval. Ryan Christie made it five just three minutes after the break before the champions eased off the gas, happy with another comprehensive victory laced with moments of devastating football. 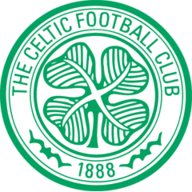 Celtic finished the night, ominously, four points behind leaders Hearts, whom they easily beat 3-0 in the Scottish League Cup semi-final at Murrayfield on Sunday and who travel to Parkhead in the league on Saturday. 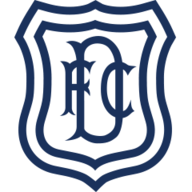 Demoralised Dundee remain bottom of the table with one win in 11 games and Jim McIntyre has now lost his first three games as boss since taking over from Neil McCann, with the loss of 12 goals. It was not a blistering start from Celtic, however, when they took the lead in the 19th minute it was with a touch of magic from Rogic, taking a pass from fellow midfielder Callum McGregor and from 20 yards curling the ball past helpless Dundee keeper Jack Hamilton. The second came in the 32nd minute when referee Alan Muir pointed to the spot after Dundee defender Ryan Inniss fouled Hoops right-back Mikael Lustig as he raced in to pick up a Rogic pass, and Sinclair sent Hamilton the wrong way with his second successful penalty in two games. Celtic moved through the gears and six minutes later, when left-back Kieran Tierney scampered after a McGregor pass and cut the ball back for Forrest, the Scotland international redirected the ball in from 12 yards. Things soon went from bad to worse for Dundee. Sofien Moussa replaced Benjamin Kallman after the striker had clashed heads with Celtic defender Dedryck Boyata, before Edouard added a fourth from close range in stoppage time when he converted a Forrest pass. Inniss was replaced at the interval by Andrew Boyle but three minutes later he and his team-mates watched Christie burst into the box to take an Edouard pass and slip the ball past Hamilton. Only a brilliant save from an Edouard free-kick minutes later prevented a sixth and it looked like Celtic were in the mood to deliver a real thrashing. In the 56th minute Australia international Daniel Arzani, the 19-year-old attacker on loan from Manchester City, replaced Edouard to make his debut, with Lewis Morgan on for Rogic. It was all too easy for the champions and the tempo slowly dipped. Tierney, however, somehow missed the target from an Arzani pass before the debutant was carried from the field on a stretcher in the 79th minute after appearing to jar his knee, leaving Celtic to finish the game with 10 men.